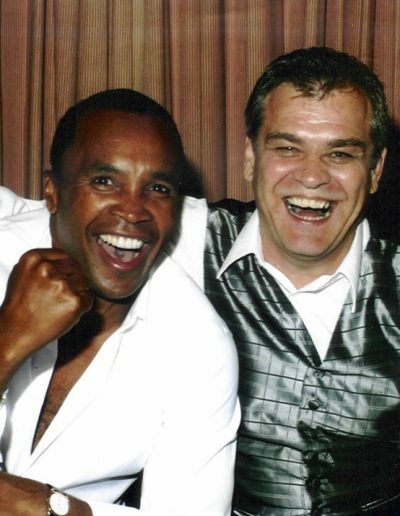 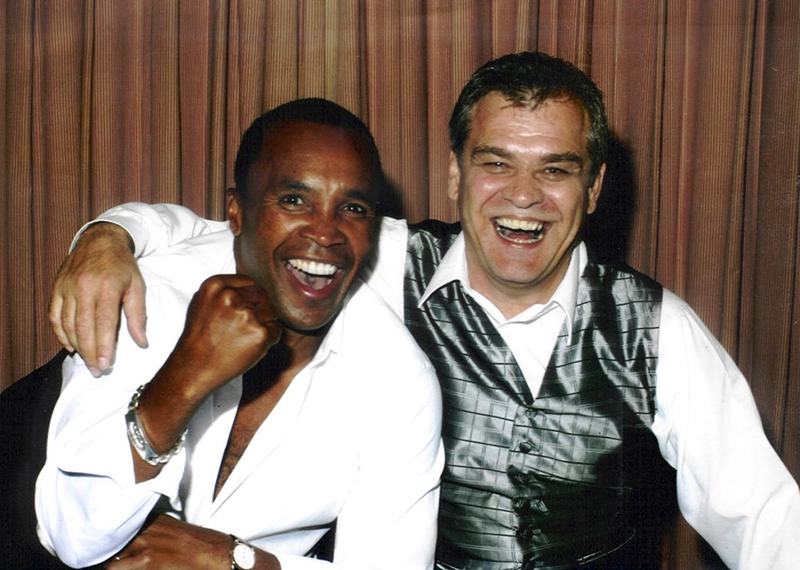 Sharing a joke with Sugar Ray Leonard. 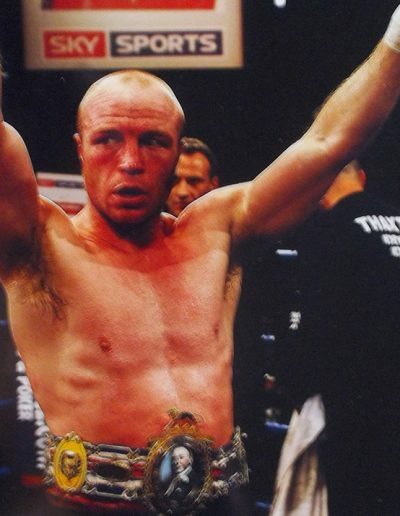 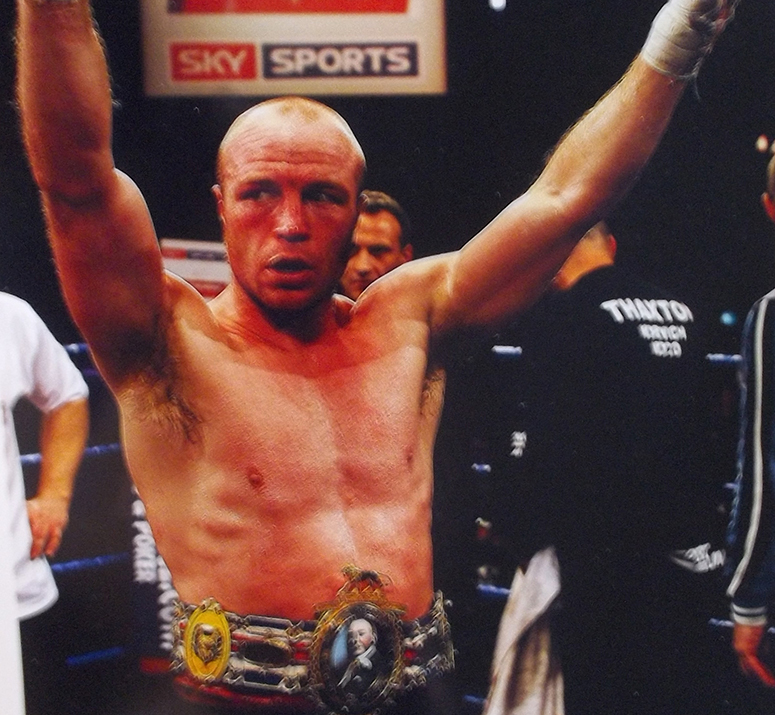 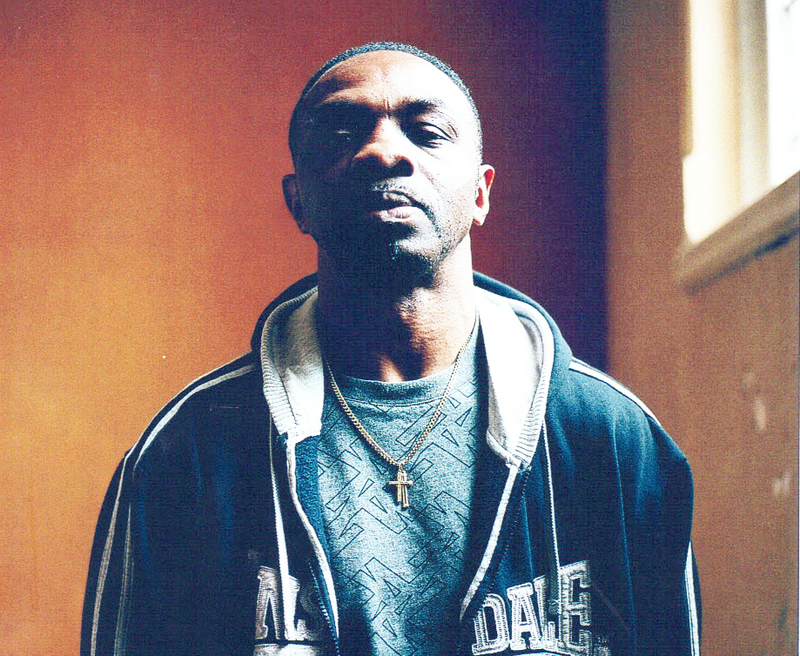 After his successful British title defence against Scott Lawton in 2007. 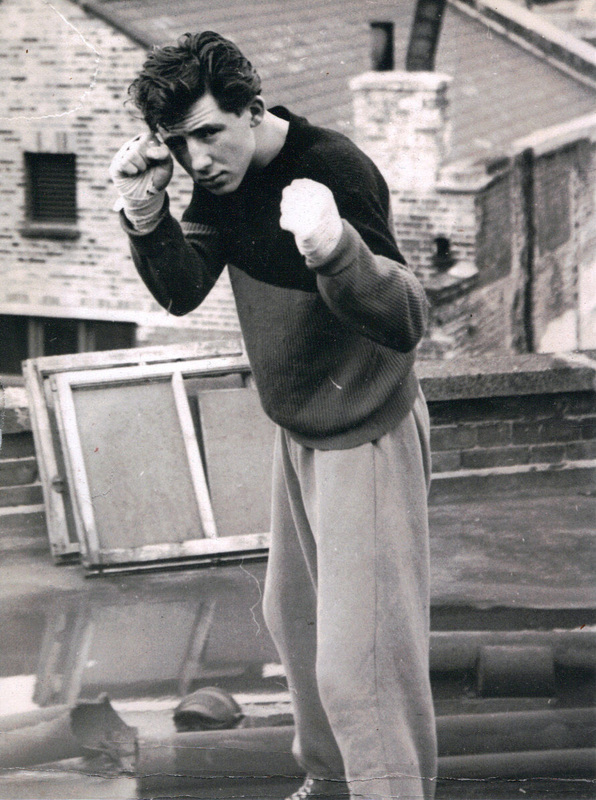 Posing in a fighting stance. 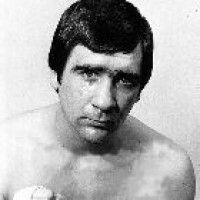 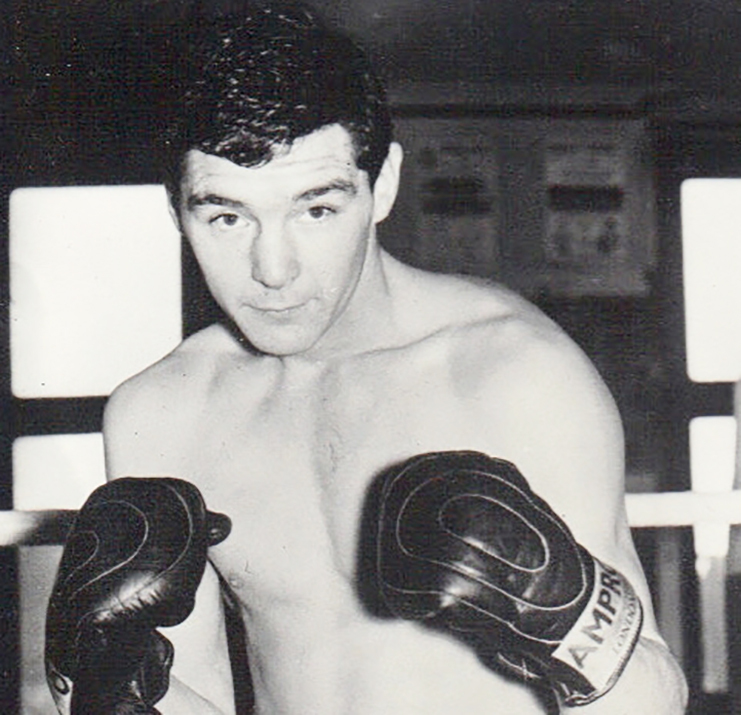 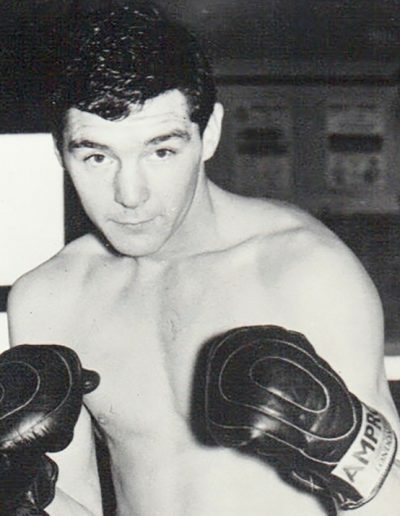 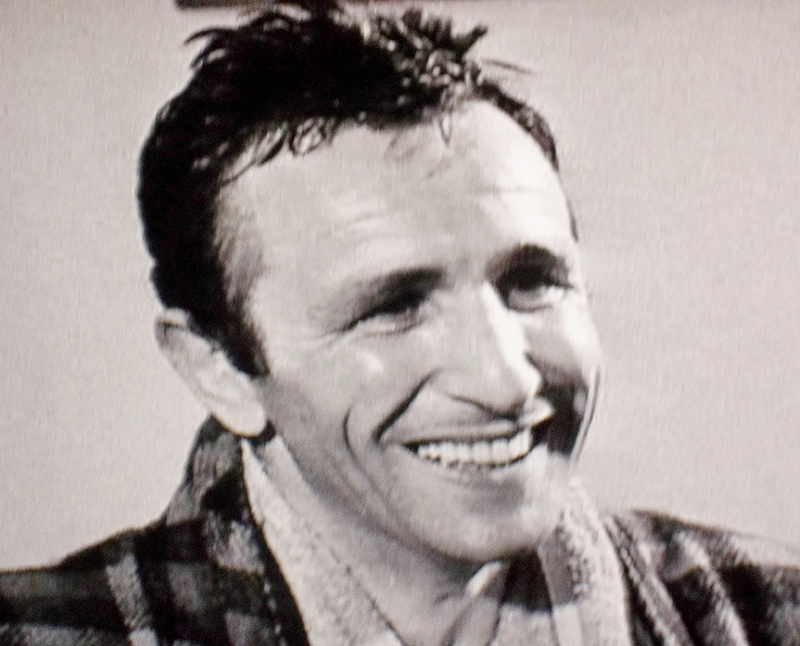 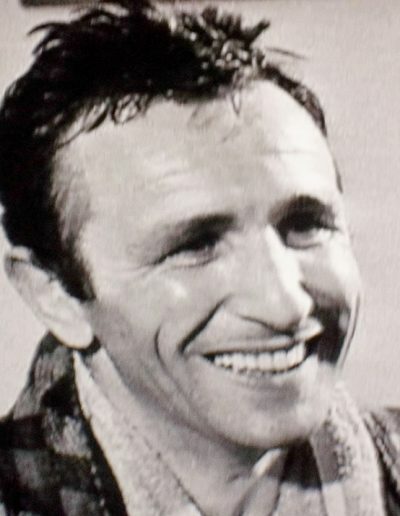 Telling it like it is on a TV boxing documentary from the sixties. 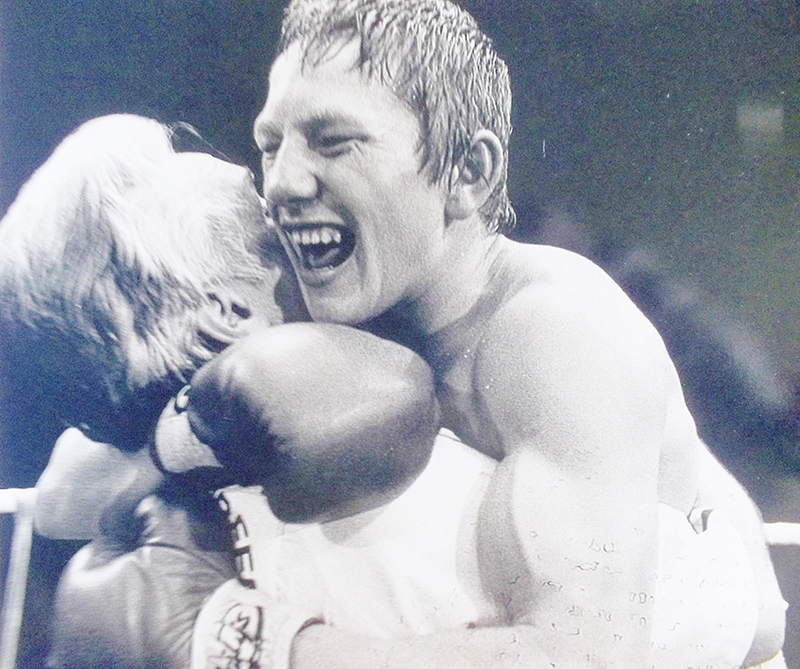 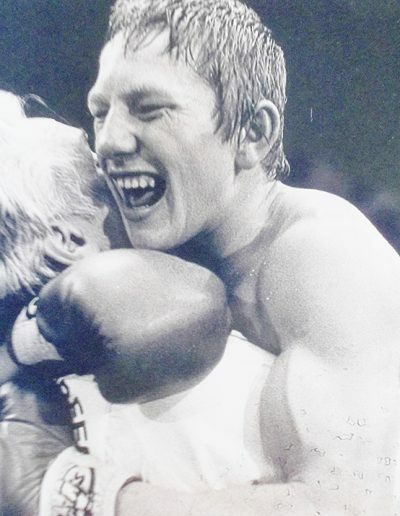 An ecstatic Dave ‘Boy’ Green leaping into the arms of Andy Smith. 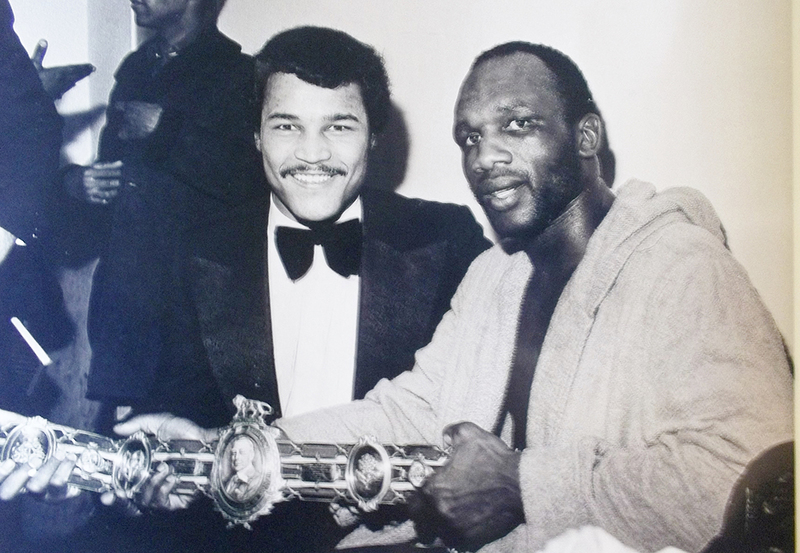 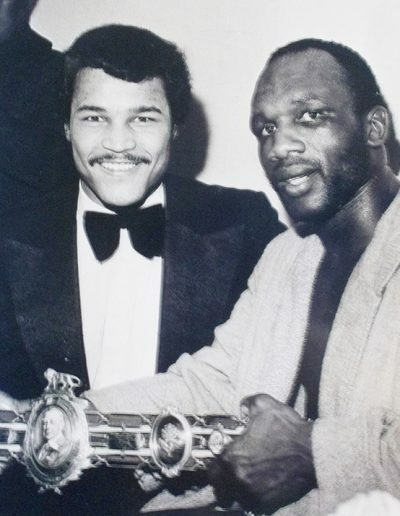 Showing off his newly won Lonsdale belt with his gym-mate and sparring partner, John Conteh. 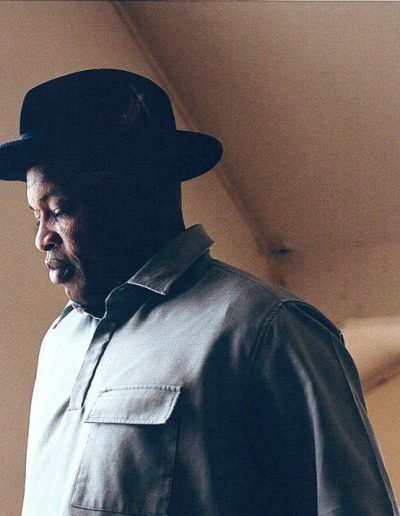 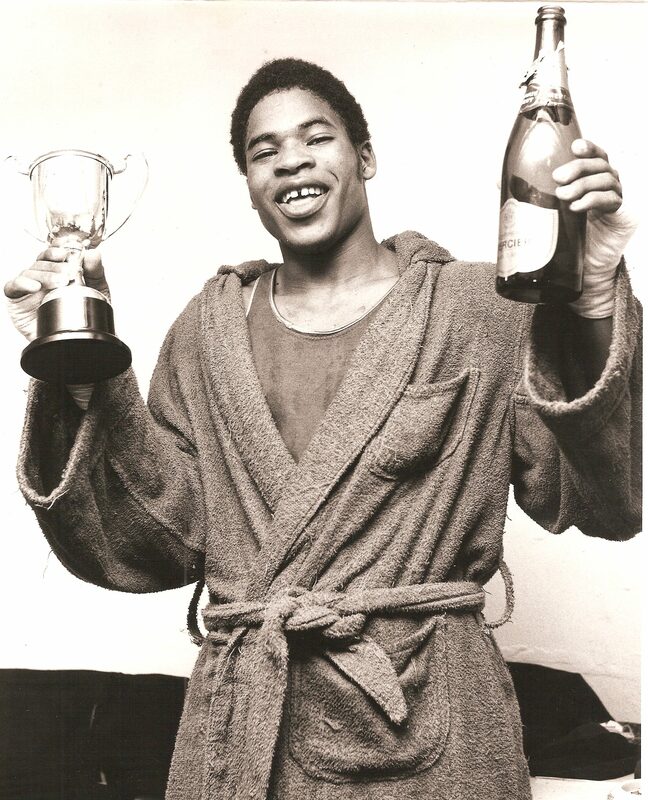 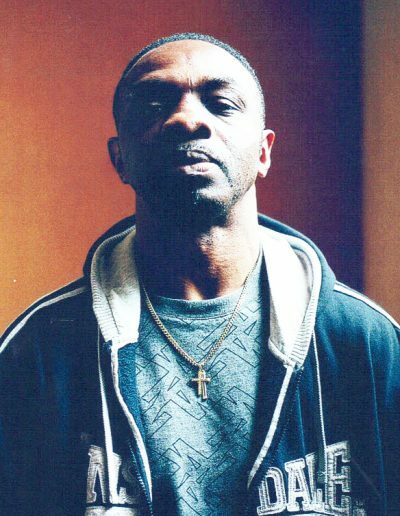 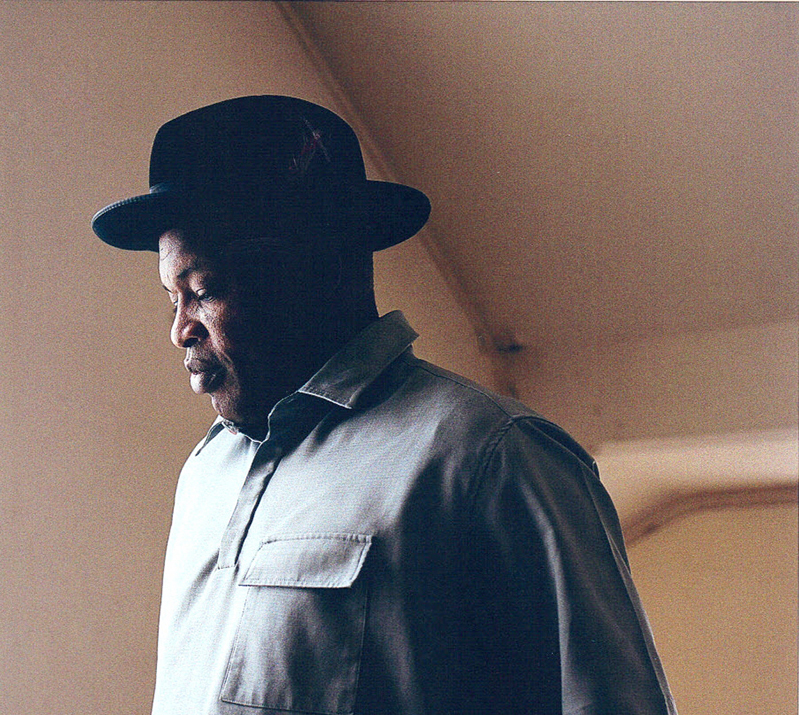 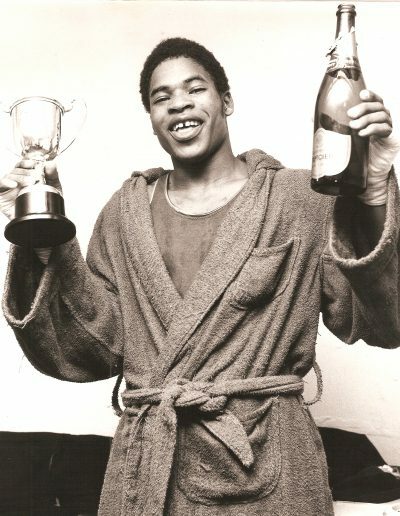 Johnson had just become the first black British heavyweight champion. 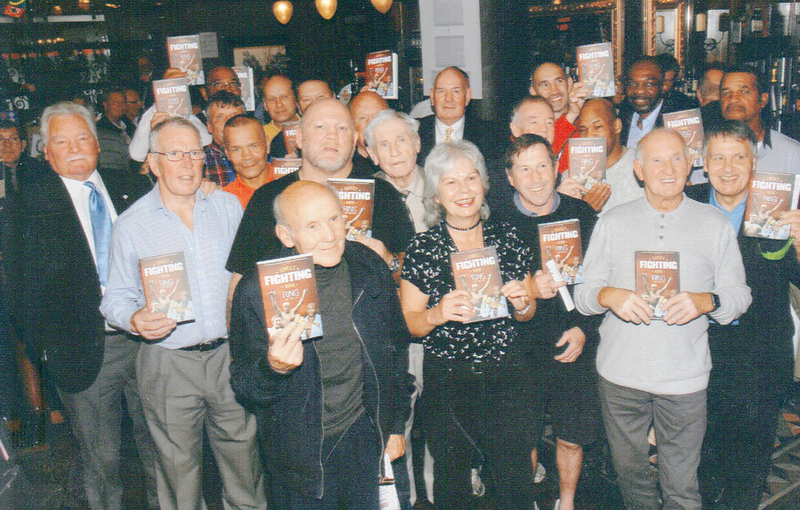 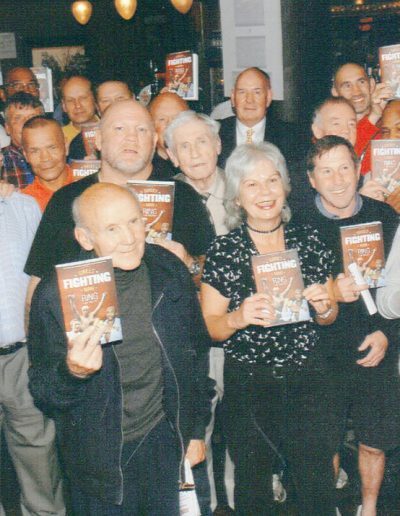 The Author having fun with a few pals at the London Ex Boxers Association. 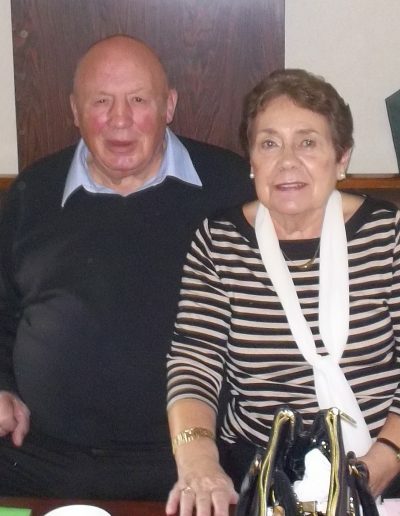 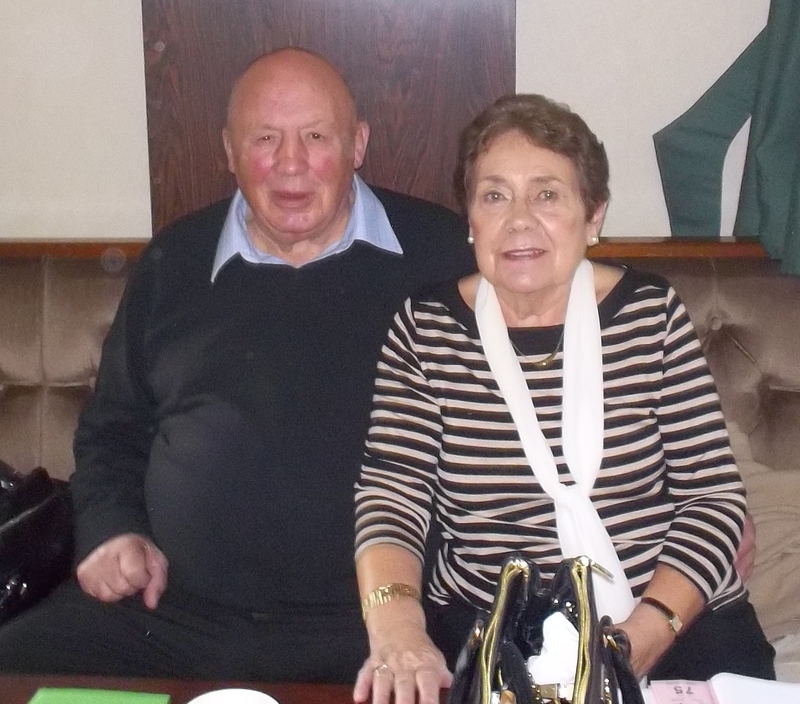 George and Linda, still together after all these years. 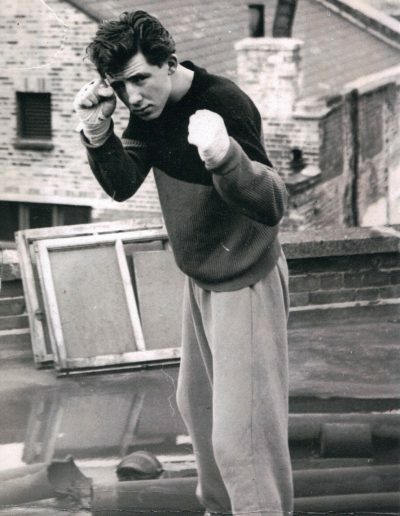 Boxing was something that simply ‘happened’ to George. 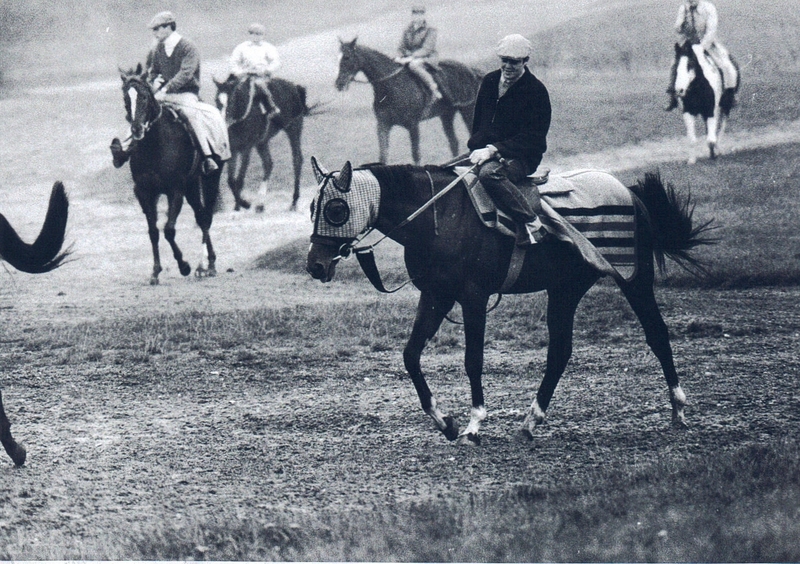 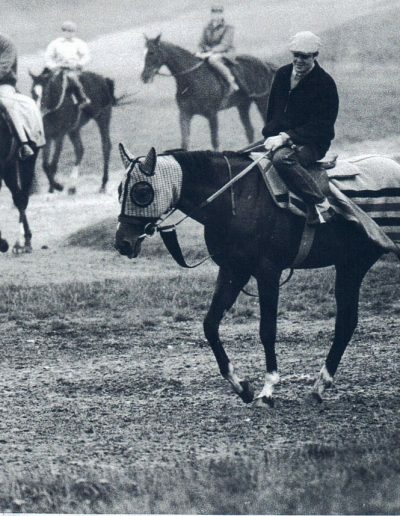 Lakey out on the gallops at Newmarket.